Thank you for choosing to list your Arizona property with us! Purchase one of our Listing Packages. Create a Sell By Owner Arizona account. 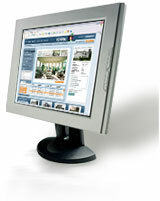 Create a webpage for your property. Log-in, edit and manage your real estate listing and webpage. Purchase optional products and services. Please make sure you want to use our services prior to purchasing. All sales are final once a package is purchased. If you are unsure for any reason please contact us prior to purchasing to get all of your questions answered.